Madeline is an actress, singer, dancer and philanthropist. Her 60+ film projects have been screened at over 70 official national and international film festivals and she has received 17 Best Actress nominations and won 2 Best Actress awards. She is a founding member of the CareGirlz, a volunteer organization that entertains at Children's Hospitals, Assisted Living Residences and Nursing Homes throughout the state. See website at www.CareGirlz.org. 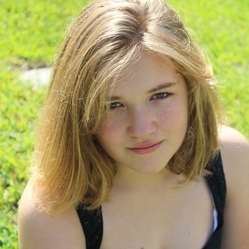 Madeline Lupi, 14, won the following awards in 2010-2019. "The Girl in the Cornfield"
2015 Children's Int'l Film Festival - U.A.E.